The Commonwealth of Virginia treats driving under the influence (DUI) offenses with the utmost seriousness. To deter drunk driving, Virginia imposes many fines and requirements on DUI offenders. After adding everything up, the entire process can be extremely costly. To gain a clear understanding of this topic, the following sections will explore seven different costs of a DUI conviction in Virginia. For any DUI offense in Virginia, there is a potential for significant criminal fines. In most cases, a DUI offense carries a maximum fine of $2,500 in Virginia. That being said, the court has a certain amount of discretion when determining the final sentence. As soon as DUI charges are filed, the offender will have to appear in court. From the arraignment to the initial hearing and the eventual trial, the process can result in significant attorney’s fees. That being said, the offender may be able to reach a plea deal and shorten the legal process substantially. After a DUI conviction, it is common for the offender to face driver’s license suspension or revocation. Once the suspension or revocation period ends, the Department of Motor Vehicles (DMV) charges a steep reinstatement fee. The offender may face additional vehicle registration fees as well. After driver’s license reinstatement, many DUI offenders must purchase and install an ignition interlock device. These devices require the offender to register a blood-alcohol concentration (BAC) test before starting their vehicle. If the offender’s BAC is too high, the ignition interlock device will prevent the vehicle from starting. In many cases, DUI offenders are required to attend an educational course on substance abuse. Alternatively, the DMV may require specific traffic school courses. Either way, the DUI offender is responsible for the entire cost of any required traffic school or educational courses. After a DUI conviction, the offender should expect an increase in their automotive insurance premium. This is particularly true for drivers with multiple DUI offenses. 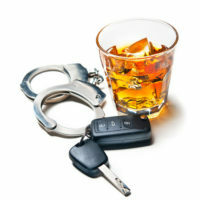 In either case, insurance providers generally charge more to account for the increased risk of covering a DUI offender. As the previous sections have underlined, a DUI conviction results in many costs and requirements. Over course of completing those requirements, many DUI offenders have to take time off from work. The compound effect of paying fees and losing earnings can be exceedingly difficult to overcome. For professional drivers, a DUI conviction can be catastrophic. Depending on the circumstances of the offense, the offender may lose their commercial driver’s license. Without that license, they cannot earn wages as a professional driver. If you have legal questions about DUI in Virginia, it is useful to consult with a talented criminal defense attorney. The attorneys at Simms Showers LLP, servicing Leesburg, Winchester, Fairfax, and Manassas, have the knowledge and qualifications to help you fight charges for DUI and other crimes. If you need legal help with criminal defense, contact us today for a free initial consultation.